Stockton boiler stoves can supply your domestic hot water and central heating requirements or you can use ‘link up’ technology to allow a Stockton boiler stove to augment your existing central heating system. 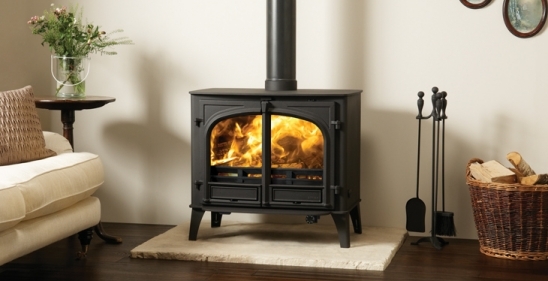 The Stockton 14 Boiler stove can provide up to 7.0kW of heat to a room and up to 14.0kW of heat to a boiler. It is capable of supplying 19 standard sized radiators. This model is available in both woodburning and multi-fuel versions. Alternatively, you can ‘link up’ a Stovax high output boiler with your existing heating system to reduce your reliance on gas or oil. There are ways to link with conventional oil or gas central heating systems, combi boilers, underfloor heating and even solar panels.